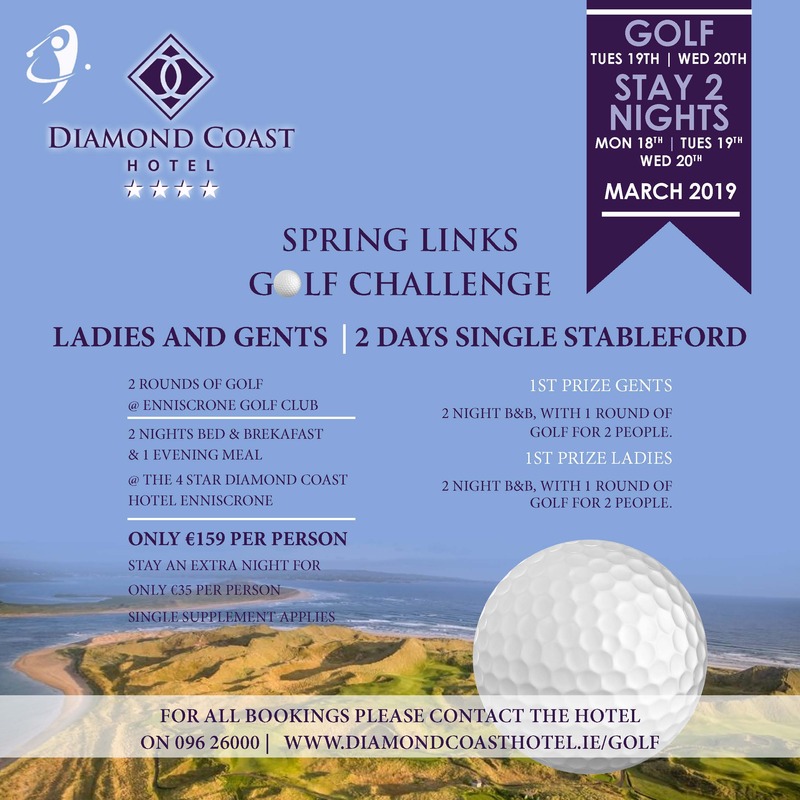 The Diamond Coast Hotel in Enniscrone, Co Sligo is delighted to announce the exciting Spring Links Golf Challenge will take place on Enniscrone Golf Club on the 19th & 20th March 2019. This is your chance to play on the Enniscrone Championship Links Golf Course, rated as the 12th Best Golf Course in Ireland. This is a great opportunity to play one of the finest golf courses on the Wild Atlantic Way and grab your chance to win some amazing prizes on offer for both men and women. Amazing package including two nights' accomodation with full Irish breakfast each morning, an evening meal and two rounds of golf available from only €159 per person sharing.